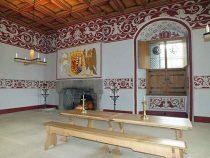 Stirling Castle is one of Scotland's great castles - created by the kings and queens of Scotland as one of their principle palaces, a great royal residence. 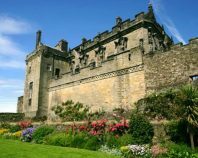 During the Scottish Wars of Independence it was under English control up to the time of the Battle of Bannockburn, it was the reason for the battle taking place at Bannockburn on mid summers day 1314. 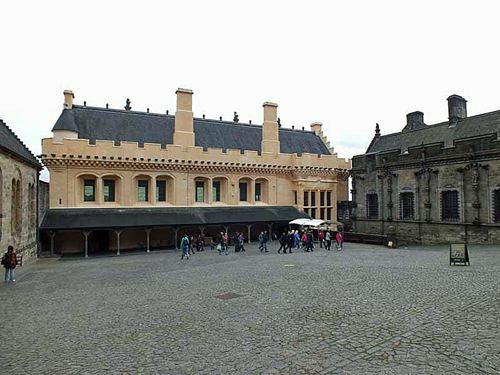 It was said who ever held Stirling Castle held Scotland, this was on account of its important strategic position guarding the main crossing point over the River Forth which connected northern Scotland with the south. 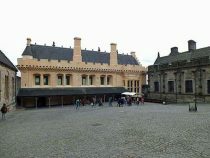 At times of war it was also a formidable fortress. 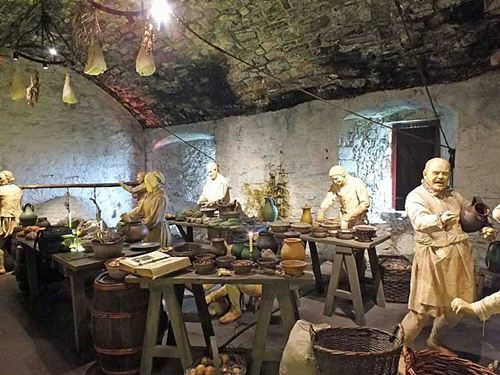 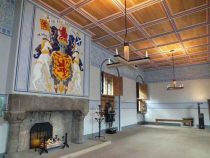 From the Chapel Royal and the Great Kitchens, to Argyll's Lodging and the Tapestry Studio, there is plenty for all the family to enjoy. 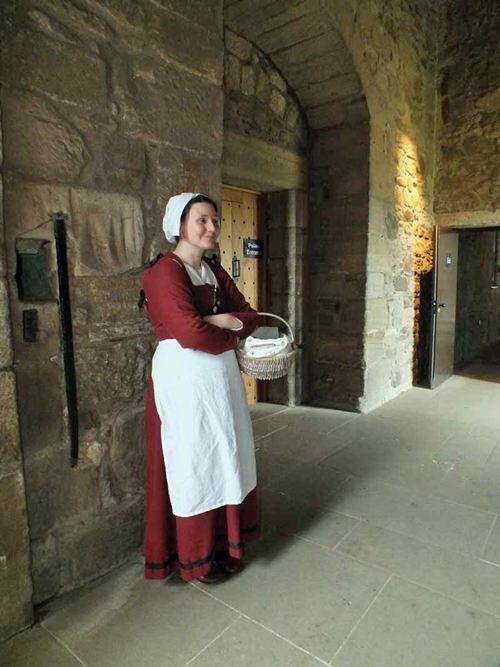 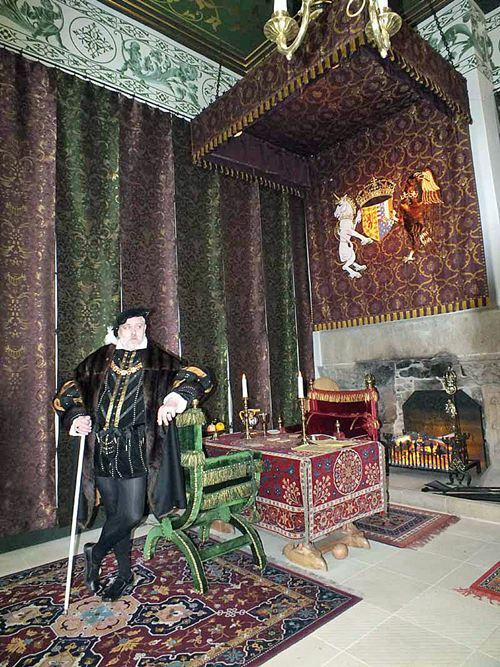 What makes Stirling Castle so special? 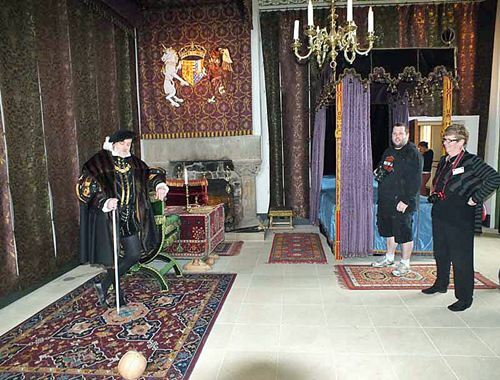 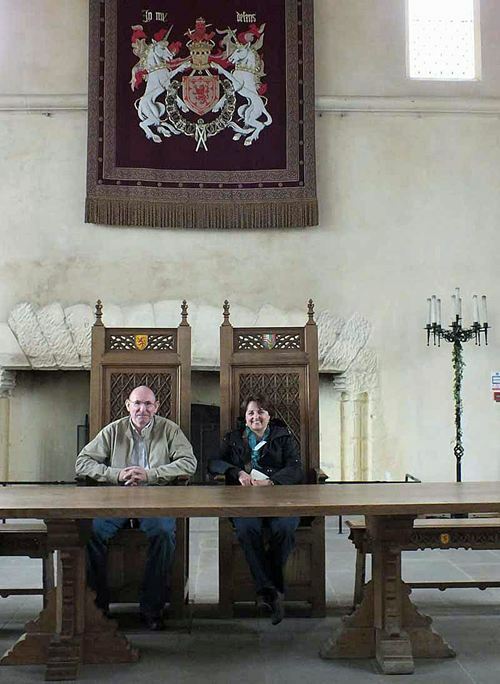 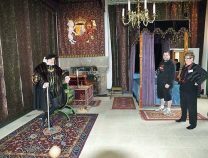 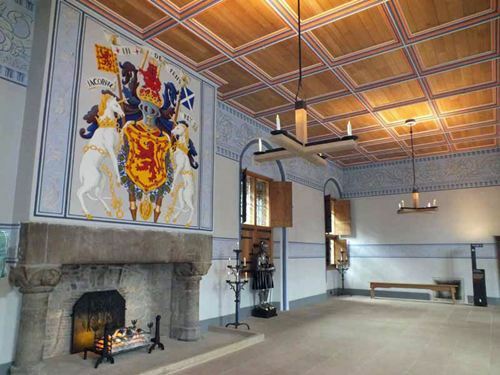 Stirling Castle has recreated the Royal apartments of the 1500s, which allows you to really enjoy them at their best. 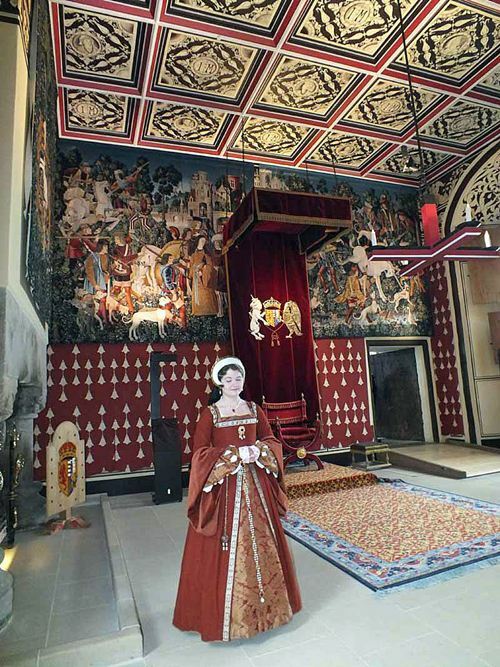 You are free to walk round, sit and touch the royal rooms, meet the ladies in waiting. Yes it is special, so many castles and stately homes today have huge restrictions as to what you can and can not do. 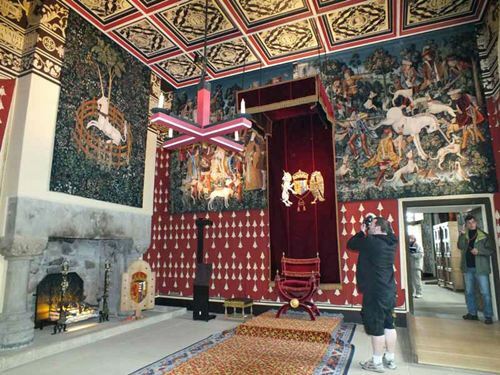 Stirling Castle offers a totally different experience. 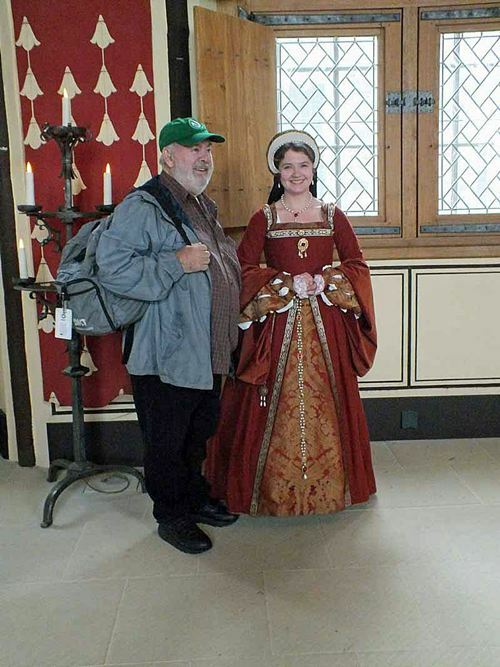 In 1538, James was preparing to marry his second French wife. 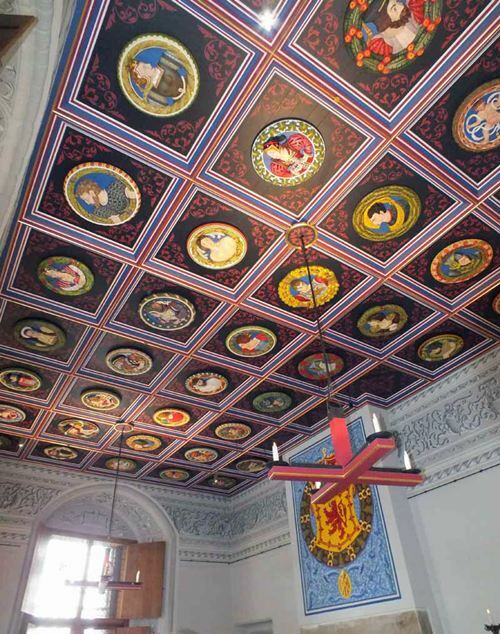 To mark the arrival of his bride, James commissioned a new Palace in Stirling Castle. 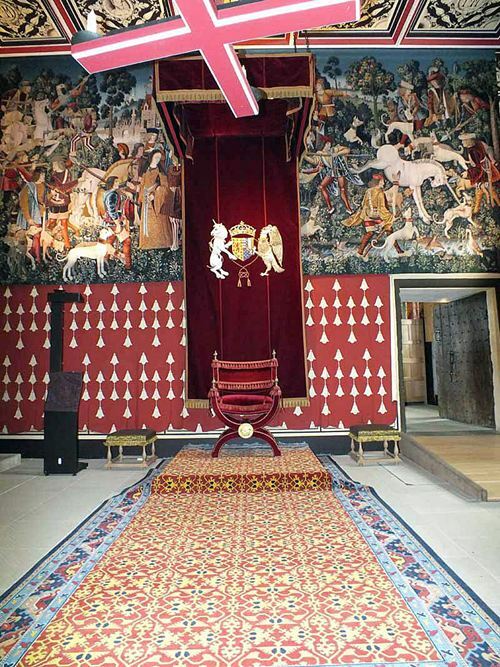 It was intended to be as fine as any princely residence she would have known in the richer kingdom of France. 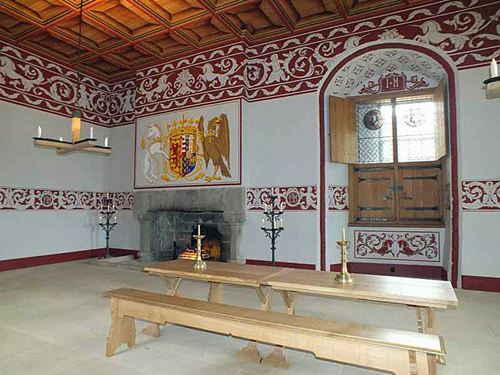 The Royal Lodgings have now been returned to something approaching their former glory. 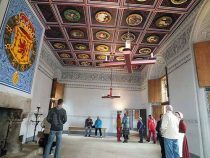 A major programme of research and re-presentation, lasting 10 years and costing £12 million, was completed in summer 2011. Visitors can now glimpse life in one of the great royal residences of Scotland's kings and queens. 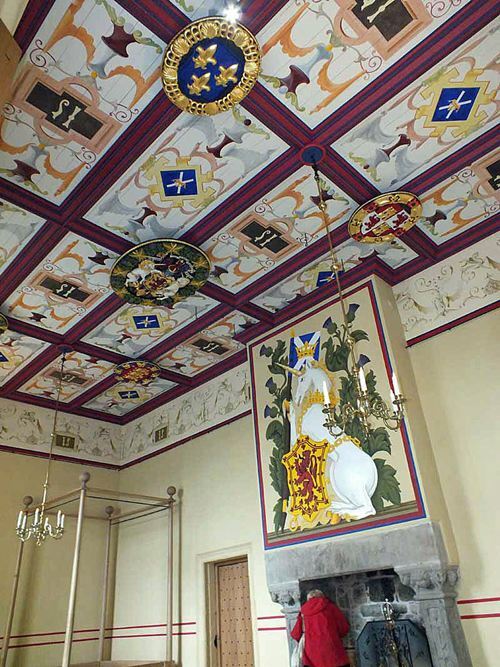 The decorative scheme is amazingly elaborate and colourful. 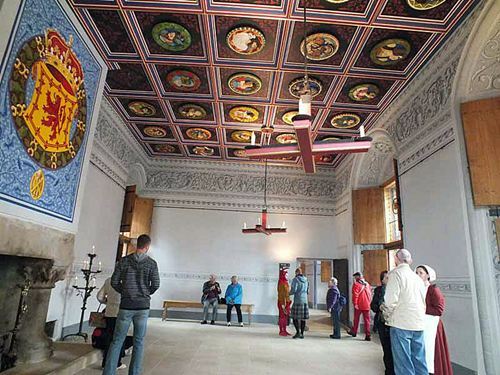 It includes hand-woven tapestries, superb, hand-made furniture and painted replicas of the famous Stirling Heads - carved portraits in oak that once adorned the ceiling of James V's magnificent Palace.